So I talked to Paul at Pixologic and he said that as of right now there is no current way to do turnarounds with the package, and he is unsure about future deals with Keyshot for making that an option. They are too busy with the launch to really think about it right now. No turntables is a bit disappointing, but after playing around in the program, I anticipate fun is to be had no matter what. 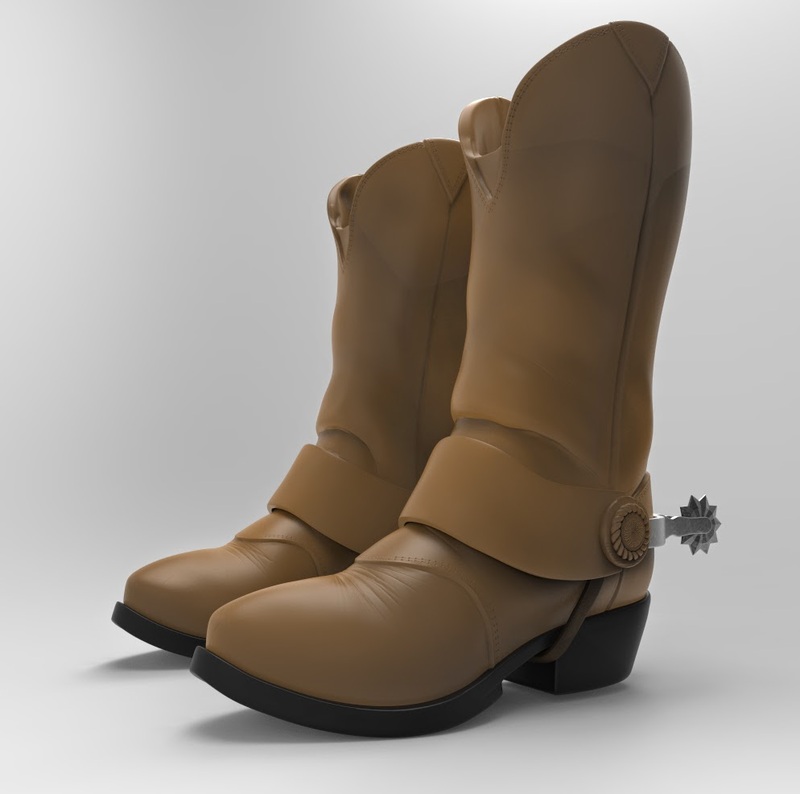 This is about 10 minutes fiddling around with importing a pair of boots. The boots are off of the Clara model I have been working on, just to see what is what. I haven't textured them, or really added any high res detail yet, this is just basic primary and light secondary shapes. I added a brown leather material to the boots and changed the color to a lighter brown since stock it is pretty dark, added a black leather material to the soles and an old metal texture to the spurs. Let it do its thing and... voila. As a thumbnail, I could see these mistaken for real boots. Add in texture and detail and I think It will be able to put out some crazy photoreal images.